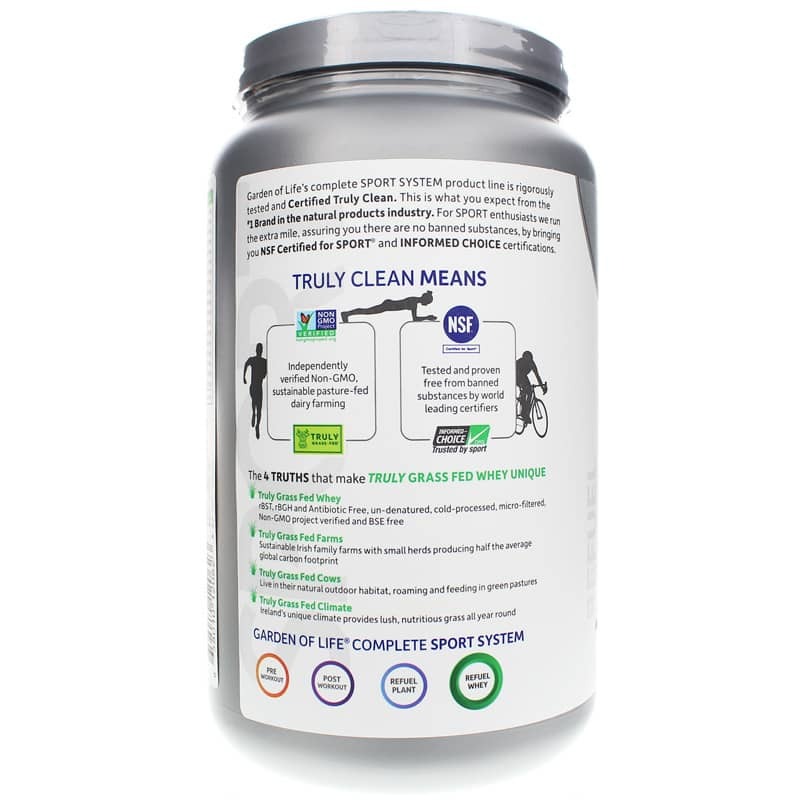 Certified Grass Fed Whey Vanilla from Garden of Life Sport is a nutrient drink powder that works to support muscle health, digestive system health, and more. 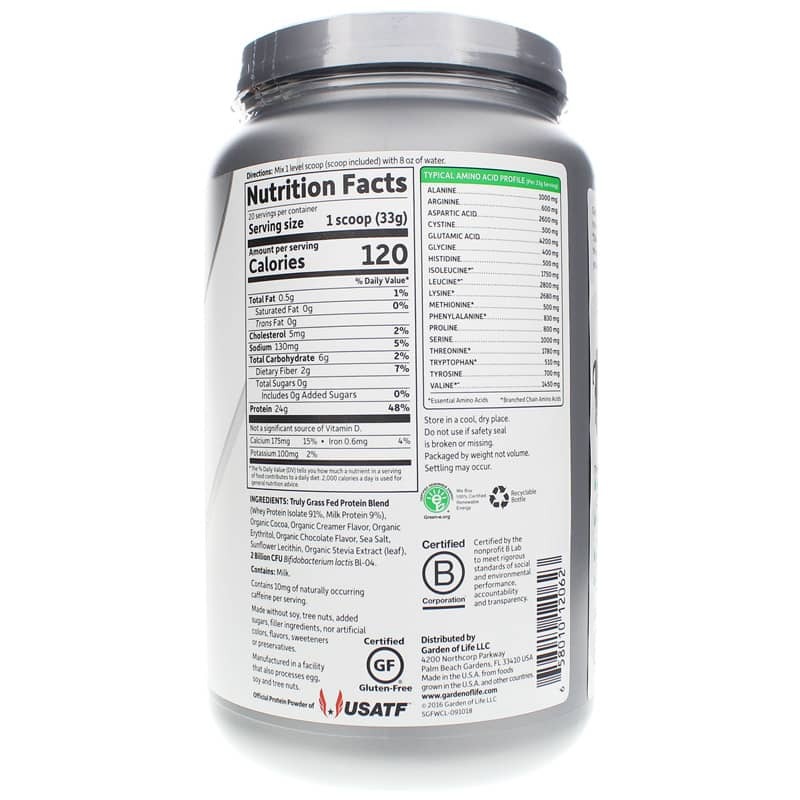 The 24 grams of protein per serving in this powder is available as whey protein isolate. It is derived from cows raised on small, Irish family farms, where the cows are allowed to roam free, feeding on the lush, nutritious grass found in Ireland’s unique climate. This results in whey protein isolate that is free of added hormones, antibiotics, and sugars. This great-tasting powder is perfect for adding to your favorite smoothie or shake. In addition to protein, it contains branched chain amino acids to support healthy recovery after exercise and probiotics to support digestive system health and immune system health. 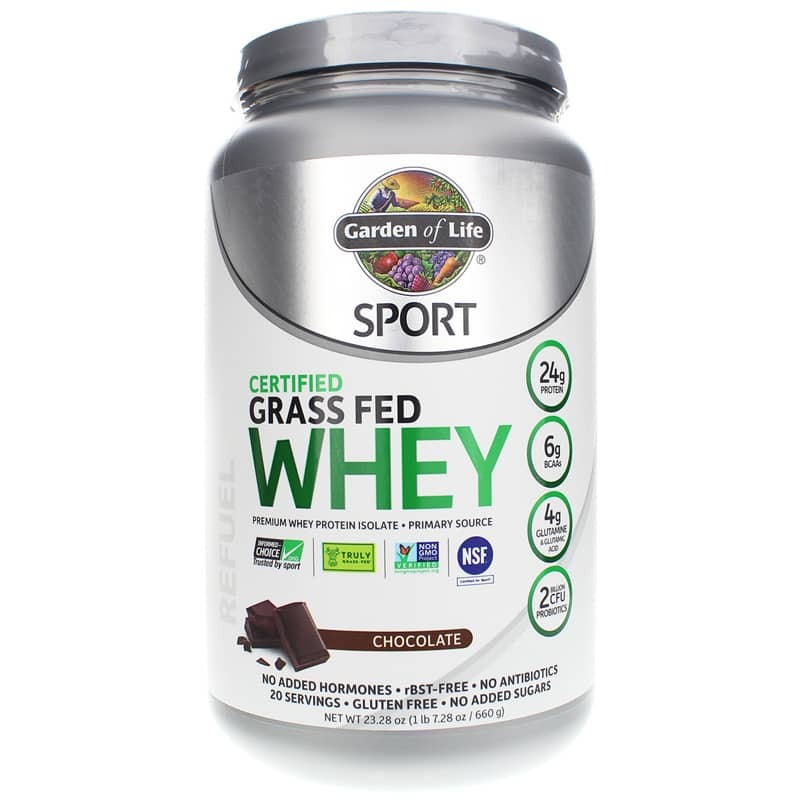 If you’re looking for a great-tasting protein powder to support muscle health with amino acids and probiotics, try Certified Grass Fed Whey Vanilla from Garden of Life Sport. Ingredients: Truly Grass Fed Protein Blend (Whey Protein Isolate 85%, Milk Protein 15%), Organic Tapioca Fiber (IMO), Organic Vanilla Flavors, Organic Gum Acacia, Organic Erythritol, Sea Salt, Sunflower Lecithin, Organic Stevia Extract (leaf), 2 Billion CFU Bifidobacterium lactis Bl-04. Contains NO: gluten, GMOs, soy, tree nuts, added sugars, filler ingredients, artificial colors, flavors, sweeteners or preservatives. Adults: Mix 1 level scoop (scoop included) with 8 ounces of water. As with any dietary supplement, consult your healthcare practitioner before using this product, especially if you are pregnant, nursing, taking medication, anticipate surgery or under medical supervision. Keep out of the reach of children.